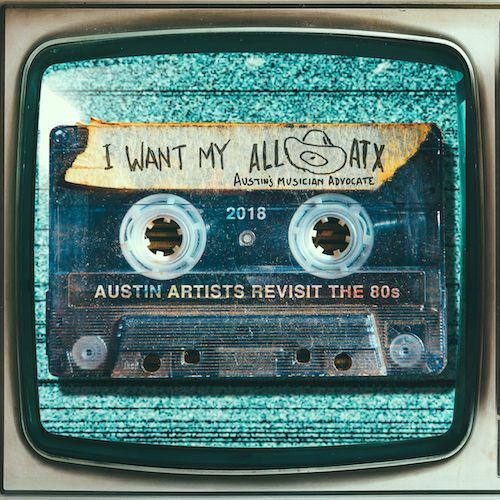 The 2018 ALL ATX Album: I Want My ALL ATX. The album features: Joe Ely, Golden Dawn Arkestra, Shinyribs, Shakey Graves, Van Wilks, Mélat, Mobley, Patrice Pike, Night Glitter, Walt Wilkins, Sydney Wright, Vallejo, Alesia Lani, The Sanco Loop, Monte Montgomery, James Speer, Water & Rust, Kalu & The Elecric Joint, The Octopus Project, Geoff Kaiser and Marmalakes. Benefiting HAAM, SIMS, AMF and Black Fret. Available now, at Waterloo Records.